I am using a stochastic method for the clustering of a data set. The number of clusters that this approach returns, can differ in each iteration. On the other hand, I would like to study the evolution of clustering at different snapshot of the data. In the following plot, I ran this clustering method for $N$ times in one snap shot and then I plotted the probability of two data points being clustered in the same group in a given time. What is the best statistical approach to compare the evolution of this two-dimensional matrix in terms of, for instance, the size of blocks which are appeared in this matrix or the shape of the whole matrix in general? Browse other questions tagged clustering algorithms kalman-filter intraclass-correlation discrete-time or ask your own question. 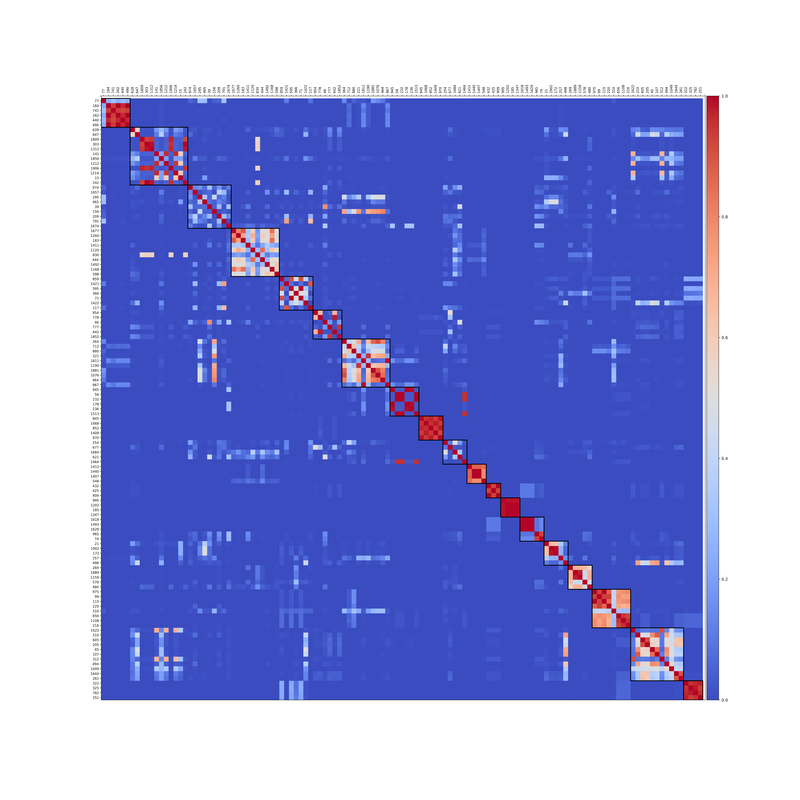 When plotting clustering results in the PCA coordinates, does one do PCA or clustering first? How much variation should a clustering algorithm explain?